Posted on June 9, 2014 by Amanda Evans Posted in Cloth Diapering	. This $1000 giveaway is now LIVE! 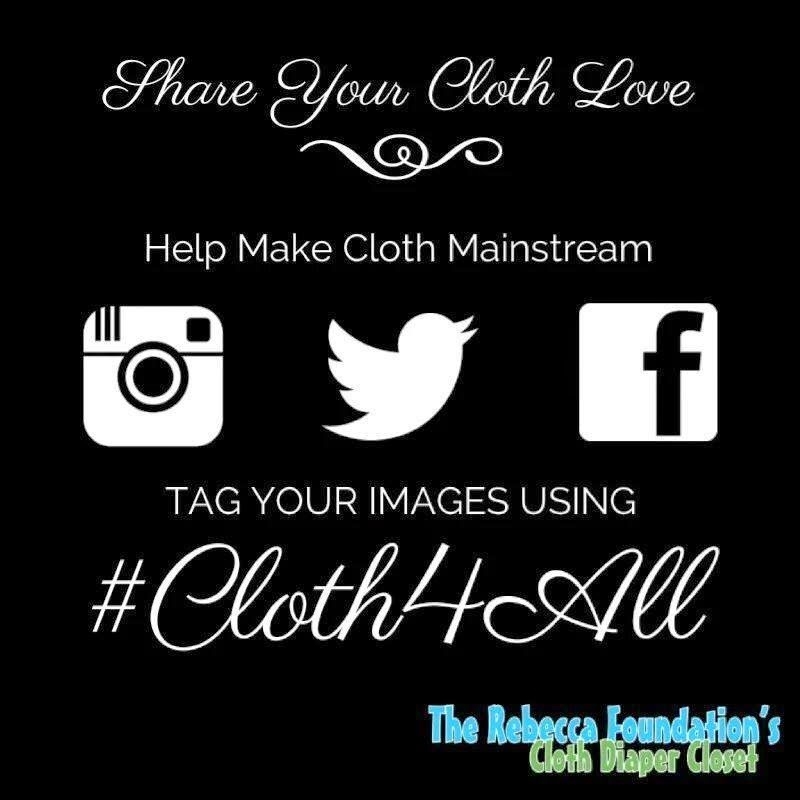 I am helping to promote a contest by The Rebecca Foundation’s Cloth Diaper Closet, which is a cloth diaper lending bank with chapters located in cities across the United States. They also provide support, education and guidance to economically disadvantaged families in the USA and Military families stationed overseas. You can learn more about their amazing organization and history in the special message from their founder at the bottom of this post. If you or anyone you know would like to cloth diaper but cannot afford it, please check out The Rebecca Foundation (TRF). Did you know 1 in 3 families have to choose between food and diapers? TRF helps families-in-need not have to make that choice by providing a cloth diaper loan program FREE of charge for them to eventually return. All they ask of these families is to volunteer two hours of their time at some point to help spread the love. You can help by participating in their new campaign, #cloth4all, by sharing your photos of cloth diapers in action on social media, and be sure to enter their giant giveaway which goes live from June 9th through the 14th. Meanwhile I’ll be hashtagging it up on my Facebook and Instagram (I’m not big on Twitter yet), as well, if you want to join me to spread the word about how awesome cloth diapers are! Huge thank you to one of my favorite bloggers, Mommy Miranda, for helping me find this opportunity to share with you! Please check out her tales of cloth diapering and motherhood!